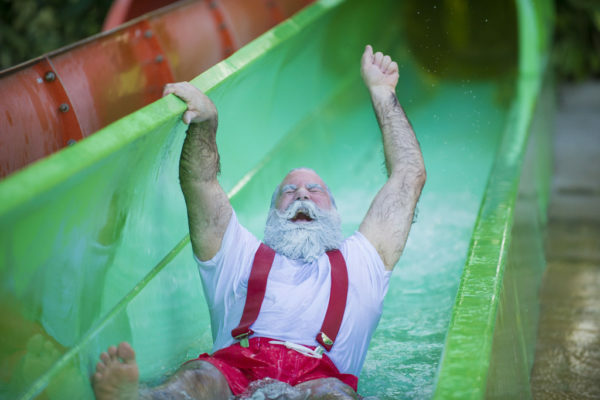 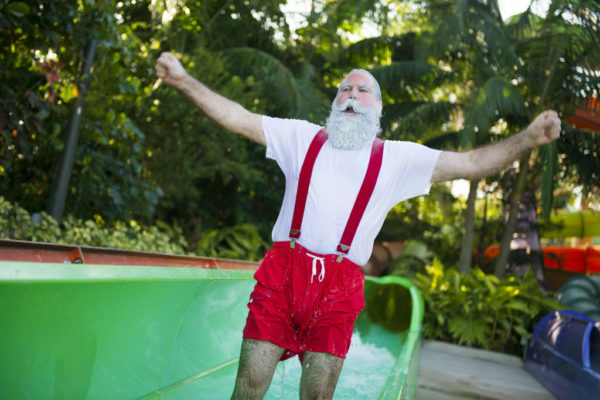 With Christmas Eve just around the corner, the jolly man himself – Santa Claus – made an impromptu stop at Aquatica, SeaWorld’s water park, to practice for his night of chimney descents on Ihu’s Breakaway Falls. 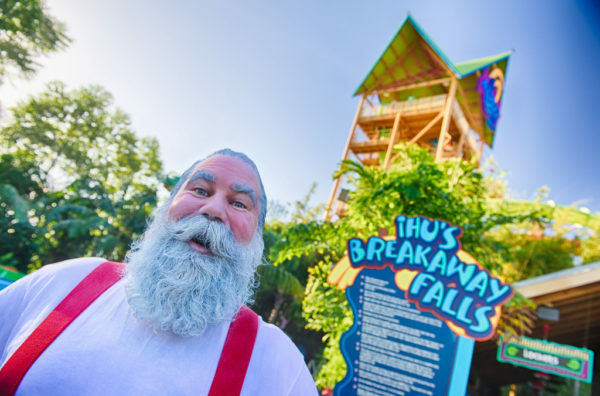 At nearly 80-feet tall, Ihu’s Breakaway Falls is Orlando’s tallest, steepest, and only multi-drop tower slide of its kind. 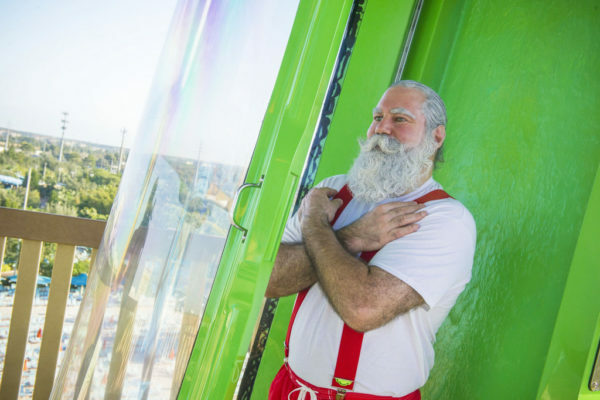 Although Santa manages to maneuver his way down countless chimneys around the world each Christmas Eve, the exhilarating drop from the breakaway boxes is unlike any rooftop experience he has encountered before.